There are a lot of water bottles to choose from, and a lot of them are well made, but there are also some that are real garbage. I have attempted to find a few that I think stand out but this is by no means a total list of all the bottles out there that could suit your needs quite well. 8.1 Fun designs can help kids remember to take their bottle with them and drink up! 14 Be careful about contaminating your water bottle when out on the trail, especially if you are filtering your water at each stop. 15 Consider your water filtration method when deciding what water bottles and hydration packs are right for you and your family! This is my go-to water bottle. 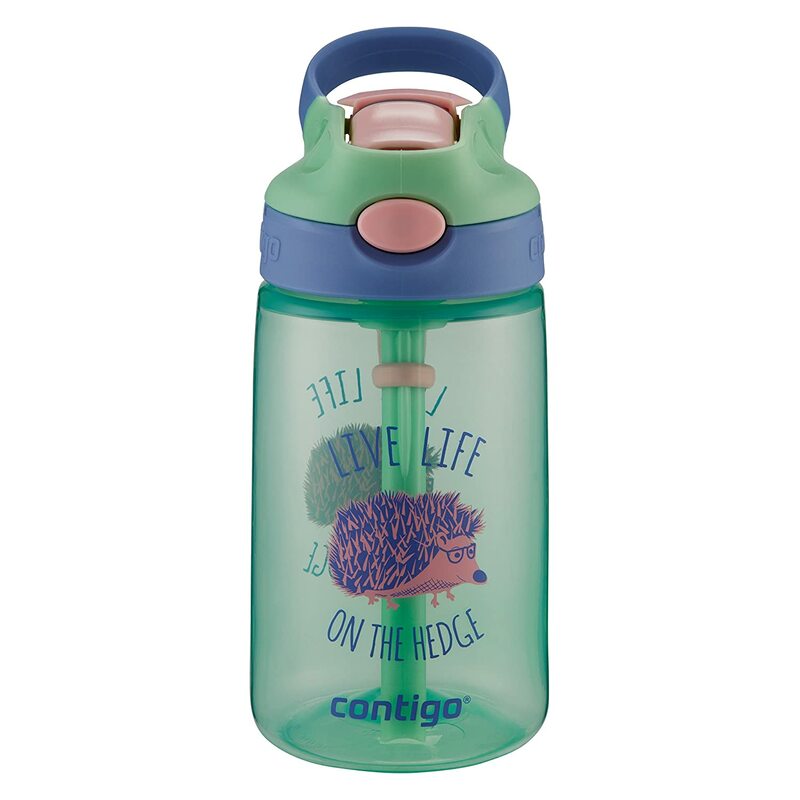 While it is plastic, it is made of very durable high strength BPA free plastic. You can run these things over, and they are still usable if a little dented. The dents seem to heal a bit too especially if they are minor. 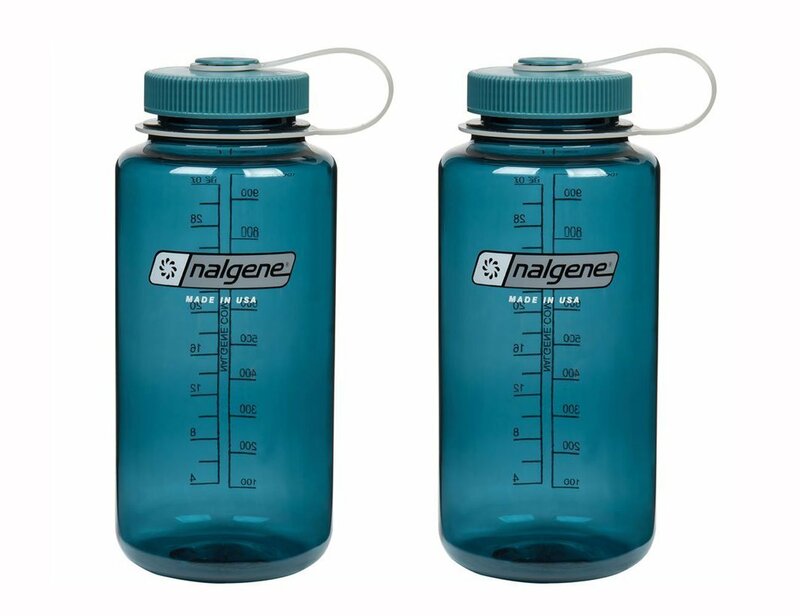 You can get Nalgenes in different sizes and shapes. This can be helpful because the smaller sizes work well for kids. I like the narrow-mouthed 32-ounce bottles, but they are a bit hard to clean, so you need a bottle brush. The mouth is still large enough to fit a single ice cube at a time through. The narrow mouth is easier to drink out of when moving. The big mouth classic Nalgene is good for those that like something that is easy to clean and you can dump a lot of ice cubes, tea bags, etc. into all at once. 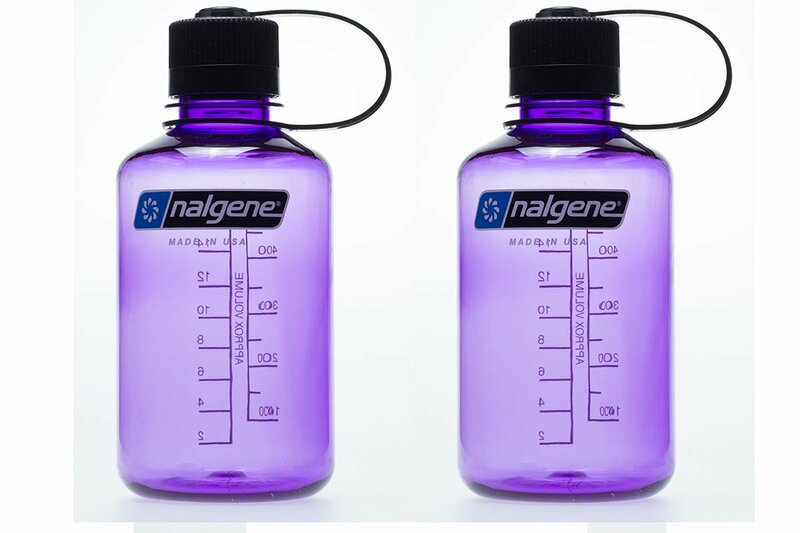 Child size Nalgenes range from 8 oz to 16 oz making them great for school and any other activity. I like stainless steel, but you need to make sure that you get the right type for your needs. Some that are insulated can keep drinks hot or cold for many hours. If a stainless water bottle is not insulated it tends to heat up very fast in the sun. These are one of the inexpensive gems of stainless steel. Yes, the lids are BPA free plastic but the rest is insulated stainless. We bought some of the standard 20 oz style travel mugs and they sure take a beating. The originals are dented and beat up but still functional. These are something that you can get in a narrow mouth as well but those usually have to be ordered. Our local grocery store sells the coffee travel mg size for about the same as Amazon but sometimes there are deals online. 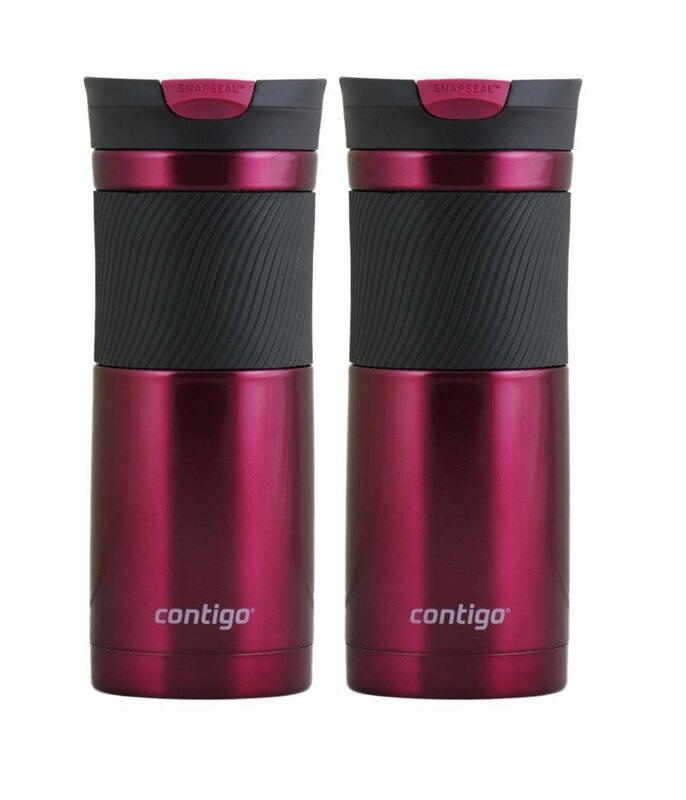 Contigos do maintain temperatures well so if you put something hot in there it takes forever to cool off. The insulation is nice for cold drinks when working outside in the summer. I recommend a bottle brush for the narrow neck styles as they are hard to clean by hand, especially if something other than water gets left in there. 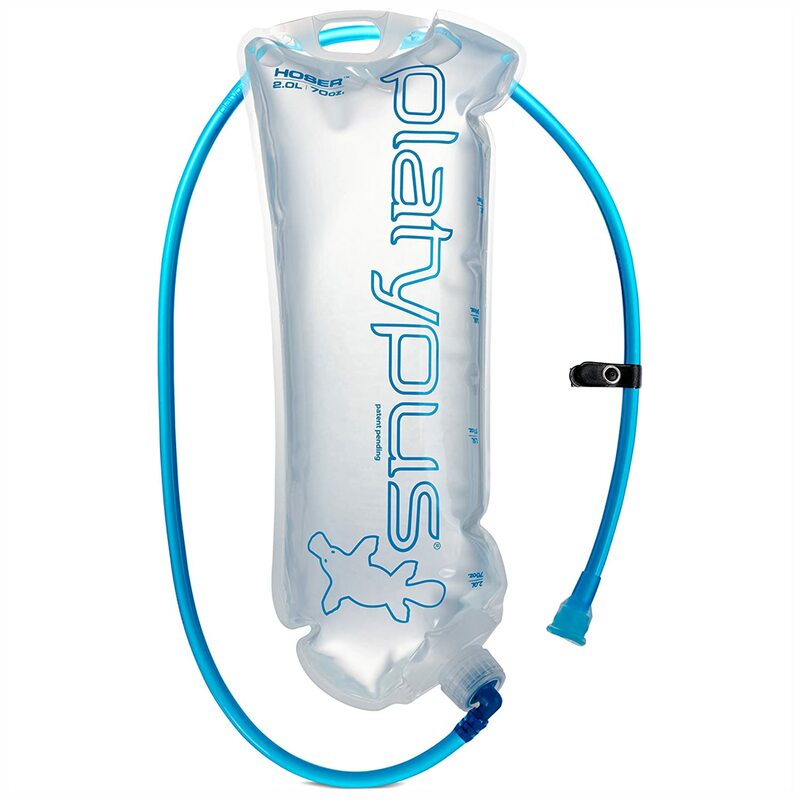 Of course, if you are on an extended trip and want to stay hydrated, you might consider a water bladder and tube. These have the added advantage of often being compatible with water filters placed in line. Bladders typically give you at least 2 liters of water rather than the one you will get with a large water bottle. If you are sweating a lot, it is easy to go through more than a liter so having two means you can stick to covering some ground in a SHTF scenario. Matt and I have used one of these for many years. The Platypus brand is easy to find replacement hoses or bags for at any of the local outfitters in our area or via ordering on Amazon. I like that the Platypus is just a basic bladder and not a major pack of its own. I can always add extra padding around my hydration bag by using extra clothing or similar. I don’t want a hydration pack that has a lot of extras built in. It just needs to hold water and be puncture resistant and BPA free, and I am a happy camper! I have never seen these bottles before, but while I was writing this, I ran across them and was intrigued. 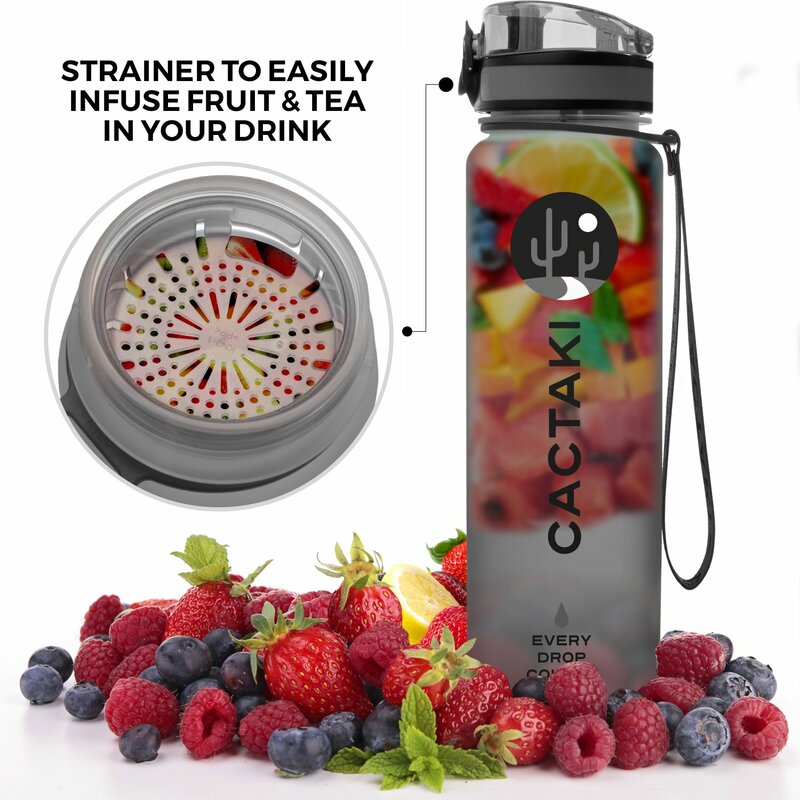 This infusion bottle allows you to put fruit, tea, etc. in the center, so your water is flavored or infused however you want it! For those that have a hard time remembering to drink enough water because it is so flavorless, this may be a good solution. This bottle has time markers on the side to help you pace your water consumption too. Fun designs can help kids remember to take their bottle with them and drink up! I found some cute bottles for the little ones in your family. 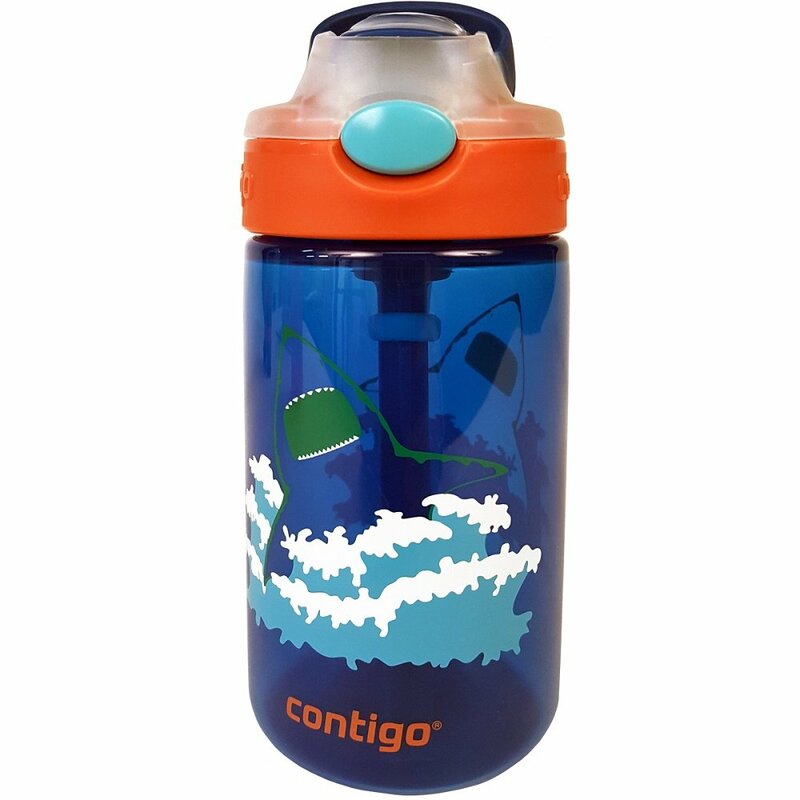 Contigo has a lot of fun designs that have a sippy straw built in. Here are a few examples. There are some bottles that have a built-in filter. Some bottles just have a filter that helps water taste better and gets out the chlorine while others have filters in them that get rid of 99.9% of bacteria and protozoa! I tried out the Brita water bottle in college as a solution to the chlorine taste in the water that came out of the tap. It was the only thing I found at the time at the grocery store that would deal with the problem at a reasonable cost. I tried out one water filter bottle that I was sent as part of a 72-hour survival pack and it seemed to have a very slow flow rate. It was difficult to get enough water. This leads me to the conclusion that you need to stick to well-known brands that have been tried by many other people when choosing a bottle with a built-in filter. Here are a few of the ones I found that appear to get good feedback from a lot of people. 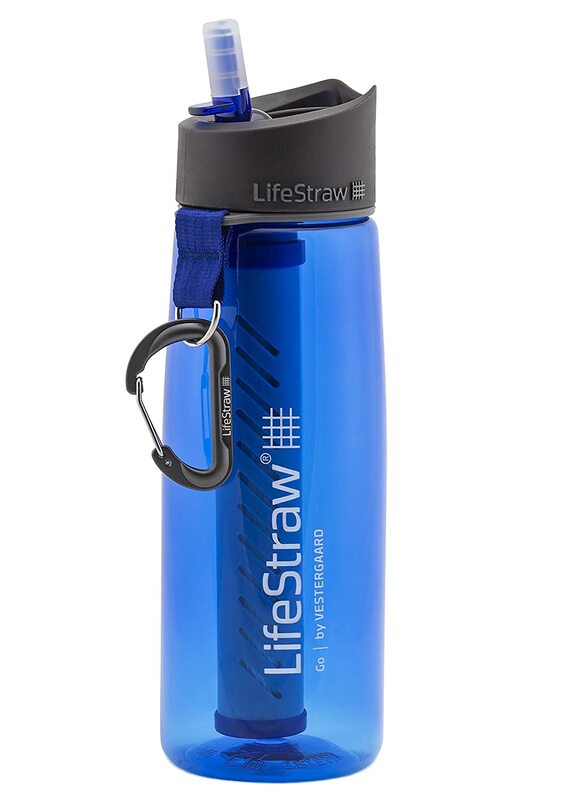 For those that have a Lifestraw and like it, this is a fabulous option. If you are traveling a lot, this is very convenient, and it blends in. It is not super obvious that you are using a water bottle that is special in any way unless someone looks close. This bottle is rated to filter out 99.9999% of waterborne bacteria, and 99.9% of waterborne protozoan parasites. I know that a lot of readers really love the Sawyer Mini! I have one myself since it is such an affordable and long lasting filter. Although I have a lot of different water filters, Sawyer Filters are inexpensive enough for me to have an extra one or two for trade or barter or just in case someone I care about needs one! 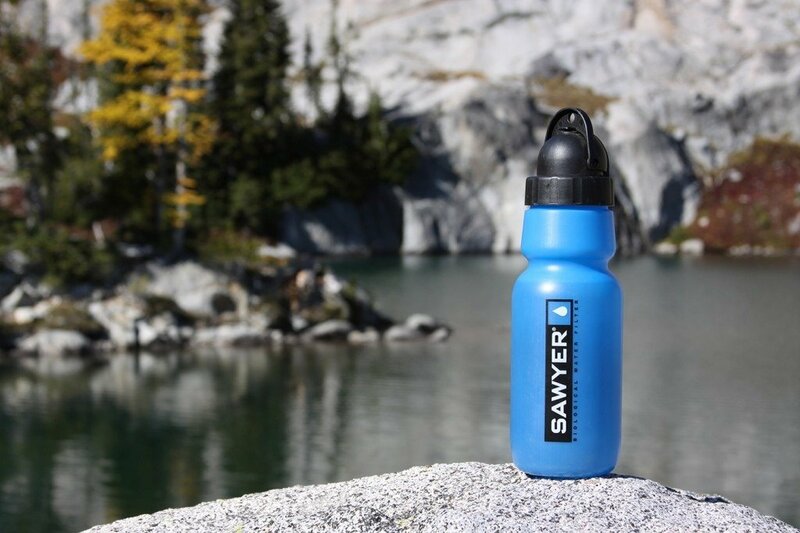 This water bottle continues the Sawyer tradition of producing high-quality filters at a price everyone can afford. Sure this bottle costs more than their regular filter but it is very convenient and it removes 99.99999% of all bacteria, such as salmonella, cholera and E.coli and 99.9999% of all protozoa, such as giardia and cryptosporidium. Water bottles with built-in filters are excellent for emergency use for the elderly and disabled that may have trouble using some water filter designs! Some of the mid to large packs out there have a spot on each side where you can fit a full size 32 ounce Nalgene. Matt and I used to do it this way back in college when we were backpacking. Two water bottles probably weigh more than a water bladder, but they have their advantages in terms of versatility and two people being able to drink at once. While some bladders are made very thick and have protective overlays, some are more fragile. Make sure to protect a bladder and have a backup water bottle or something to drink out of if you are going to be away from any possible supplies for a long time. Be careful about contaminating your water bottle when out on the trail, especially if you are filtering your water at each stop. Consider your water filtration method when deciding what water bottles and hydration packs are right for you and your family! There are a lot of different water filters out there and some work better than others with certain types of bottles and bladders. Some water filters like the MSR Sweetwater come with an adaptor that fits over a Nalgene! Pumping into a water bladder directly may be more difficult because you need to get it to stand up while you pump but if you can rig a filter to operate in line using gravity, then you don’t have to pump at all. What water bottles do you like the best? Have you found any hidden gems, not on this list? I have mostly stuck to 3 brands over the years, but there are just so many to choose from compared to when I was younger. LDS.store.org has water bottles w/filter of 99.999% for 16.50 and replacement filters for 7.00. Non-Mormons can order from the online store. These water bottles are sent with missionaries all over the world to produce clean, safe drinking water. I have several in my preps. Good article as per usual Samantha! Thanks for a great informative article! I was wondering if anybody had feedback on the Berkey water bottle. I’m trying to decide between the Berkey and the Sawyer. Any feedback would be appreciated. I like the single wall titanium canteen/pot kits which can be used to heat water for potability and cooking. The LDS store carries the Seychelle brand filter bottle, which also filters out a high percentage of flouride. Filters that also remove flouride can be hard to find, so I appreciate this capability. I am purchasing Seychelle bottles for each of my grandkids for Christmas. They can use them at school and daycare, plus liquid intake can be monitored more easily for kids that don’t drink enough water. Where can one get a water bottle that lets you boil stream or lake water in before drinking? Would be nice not to have to carry a pot around – just a water bottle. Actually, the Stainless Steel bottles mentioned in this article will work for boiling water in.